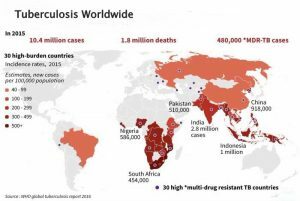 What is Multi Drug Resistant TB? Multi Drug Resistant TB is often abbreviated to MDR-TB. MDR TB is a particular type of drug resistant TB. It means that the TB bacteria that a person is infected with are resistant to two of the most important TB drugs, isoniazid (INH) and rifampicin (RMP). If bacteria are resistant to certain TB drugs this means that the drugs don’t work. Other drugs then need to be taken by the person if they are to be cured of TB. People with RR-TB are resistant to rifampicin. They may or may not have resistance to other drugs. MDR/RR-TB means patients with MDR-TB as well as patients with TB resistant to rifampicin. How do you get MDR-TB or RR-TB? There are two main ways that you can get MDR TB or RR-TB. Firstly you can get it if you don’t take your drugs exactly as you have been instructed to by your health care provider. You may also get TB if you are not taking the correct drugs. This could possibly be because your bacteria are resistant to more drugs than your health care provider realised. Maybe you have undiagnosed XDR-TB. This is referred to as acquired TB. You can also get MDR or RR-TB if you get TB bacteria from another person who already has MDR or RR-TB. This is known as primary TB. It used to be believed that most people have acquired TB, but now it is realised that many more people than were previously realised have primary TB. How many people have MDR-TB? Globally in 2016 about 490,000 people are estimated to have become ill with MDR-TB. In addition there were an estimated 110,000 people who had rifampicin resistant TB (RR-TB). So the number of people estimated to have had MDR-TB or RR-TB in 2016 was 600,000. Almost half of these cases (47%) were in India, China or the Russian Federation. There is more about TB in India and TB in China. MDR-TB accounts for about 4.1% of new TB cases. Also, about 19% of previously treated TB cases were estimated to have either rifampicin or multi drug resistant TB in 2016. About 6.2% of MDR-TB cases in 2016 had additional drug resistance, which means that they may have had what is known as extensively drug resistant TB (XDR). This is lower than the figures for previous years (9.5% in 2015, 9.7% in 2014). This decrease is most likely due to improved measurements, rather than an actual decrease. In 2016 MDR-TB and RR-TB caused approximately 240,000 deaths. This is similar to the best estimate for 2015.
www.thelancet.com/journals/laninf/article/PIIS1473-3099(16)30132-3/abstract There is more about TB in Children. The number of people actually reported (notified) to the World Health Organisation (WHO) as having MDR-TB or RR-TB was 26% of the people estimated to have become ill. This was about 153,119. Among MDR/RR-TB patients notified in 2016, 39% were tested for resistance to both fluoroquinolones and second line injectable drugs, a slight increase from 36% in 2015. Coverage varied widely among countries. The notification numbers among different WHO regions for 2016 are shown in the table below. If there is a "plus sign" clicking on it will show more columns. In May 2016 the WHO recommended that there should be a major change to the treatment for drug resistant TB with shorter regimens being made available for many patients. Previously treatment for drug resistant TB had often required a large number of drugs to be taken taken for up to two years. 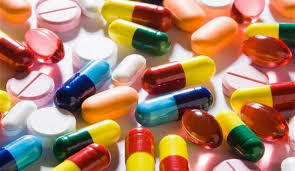 Also the drugs often caused severe side effects in patients. So various efforts were being made to develop shorter regimens which were easier to take. The first shorter and easier to tolerate regimen is known as the Bangladesh regimen. It appears to have a higher cure rate than “standard” MDR-TB regimens. There is more about the treatment of drug resistant TB. Danon and four of his family members were all treated for multi drug resistant TB (MDR-TB) in Benin as part of an observational study led by the International Union against Tuberculosis and Lung disease. Timothé, his brother Evariste, and Evariste’s three sons, Florantain, Geraldo and Fresnel, were all treated and cured, using the shortened nine month treatment regimen, the Bangladesh regimen. This new regimen, cuts the treatment time for MDR-TB patients from nearly two years down to just nine months, and it greatly reduces the more risky and difficult side effects involved. The latest data reported to WHO shows a treatment success rate for MDR-TB of only 54% for patients starting treatment in 2014. In 8% of patients the treatment failed, 16% died, 15% were lost to follow-up and 7% had no outcome information. This data is obtained by countries having groups of people (known as cohorts) who started treatment at a particular time and who are then followed for a number of years. A total of 129,689 patients were enrolled on MDR-TB treatment in 2016 (up from 125,629 cases in 2015). However, this represents only about 22% of the estimated total number of cases (600,000) in 2016. Ten countries accounted for about 75% of the gap between enrollment in treatment and the estimated number of cases. China and India accounted for about 39% of the total gap. progress in detection is outstripping the capacity to provide treatment. In these settings the risk of transmission of drug resistant TB is very high. Once patients have been diagnosed with drug resistant TB it really is essential that they are provided with treatment. This is not only for their sake, and it may indeed save their lives. It is also because once people are taking treatment they stop being infectious, and can no longer spread drug resistant TB to other people. By June 2017 89 countries were known to have imported or started using bedaquiline and 54 countries had used delamanid. Most of the patients treated with bedaquiline were reported by the Russian Federation and South Africa. For MDR-TB the median cost per patient treated was US$9,529 in 2016. New shortened regimens of 9-12 months cost about US$1,000 per person. There are 30 high burden countries for MDR-TB. The list of high burden countries was revised in 2016. The tables below show the estimated number of cases for each “high burden” country. But these are only the estimates for the number of cases of MDR-TB among those cases of pulmonary TB notified to WHO. There will in addition have been many cases of MDR-TB among those cases of TB which were either not detected and/or not notified. If there is a "plus sign" click on it for more columns.